GPS is a true blessing for all those, and that makes almost the entire population of travelers and hikers, who are tired of carrying paper maps while trying to determine where exactly they are and where to go. Instead of using a compass and a paper map, for over 20 years we are addicted to using GPS for finding our way to anywhere we are heading to. Now, that addiction, just as any other addiction, is not as good for us as we are doomed to relying on our apps and devices. Nevertheless, make sure you know the rudiments of basic map reading to get you through any dire circumstances. Generally, there are hundreds of different GPS apps, many of which work with the exact same features and preferences. On the other hand, there are also some GPS apps that will change the perspective you have on GPS applications. Some of the GPS apps we have reviewed and listed for you are truly amazing and almost flawless, while other apps are free with solid features and completely functional. Many applications on our top picks list work on Windows, Android and iOS, while some are only operable on Android or iOS or Windows. We are introducing you to some of the best apps for Windows, Android and iOS currently available for download. If you are more keen on using a GPS watch, see our guide on how to choose the best GPS watch in the market. Any GPS application can work fine and allow you the access to a solid navigation system, but not all apps can also work offline. If you like hiking or you are travelling a lot, you certainly know that using GPS with most applications is impossible without Wi-Fi unless you download the map you need. Most GPS apps won’t support downloading large maps, but rather smaller city maps which is great if you want to find your way around a city, but what if you are hiking or need to plan out your route for an entire day? If that is the case, your app will be useless. Sygic GPS app is different as you can use all maps while you are offline. This feature is adopted by several more great GPS apps, but Sygic also has other neat features that might make you choose it. In case you are having troubles with finding your way around by following standard GPS flat map, you will be thrilled to know that Sygic GPS app offers new 3D overview on any map you might need. That way, as buildings, mountains, monuments and parks are visible in 3D, you will be able to easily find your way around even if you are following a certain route for the first time. Speaking of routes, there are many alternatives offered for every destination, so you can choose whichever route you find as the best. This app is designed to lead you turn-by-turn, so we could say that Sygic is user friendly app as you can also save and adjust the route with drag-and-drop option. Using this app is pretty easy, so you definitely won’t have any troubles managing maps and routes. Sygic is available for Windows, Android and iOS, so all users can install it. 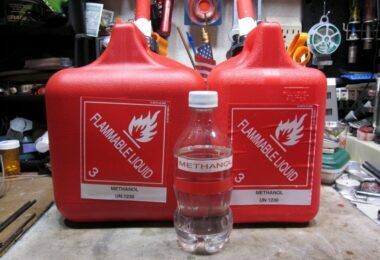 As far as the price concerned, there are two plans, one of which is completely free and the other, Premium, which you need to pay in order to use. You can probably get a discount on buying this app, but even if discounts are out of option, you will be glad to know that you don’t have to pay for this app annually, the purchase is worth a life time. The feature you get with Premium account and that is not available for free is that you can drive or walk with app leading you turn-by-turn with automatically relocating your route in case you make a wrong turn, calculating your way back right to the correct path. Another great feature you will get with Premium license is Voice command where you can be guided vocally as you are keeping your eyes on the road. You will as well get speed limit announcements and warnings, as well as directions to the right lane for driving in all countries in the world. Premium account also offers statistics so you could keep track of all routes you’ve taken, showing your outdoor activities. 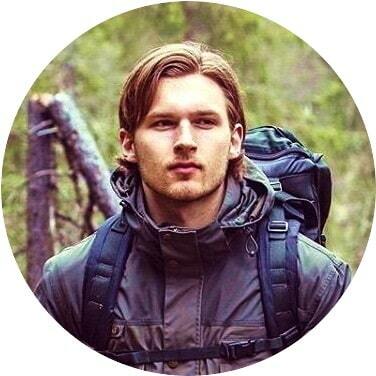 Sygic is all in all a great app for all travelers, hikers and drivers. Pros: 3D navigation, user friendly design, interesting features made for travelers and hikers. Premium account gives even more than what you pay for. Works for you even when you are offline, so you don’t need to download maps. Cons: There are no reported bugs or errors in the system. Once known as Navfree, with strong possibility that many people still recognizes this app by its old name, Navmii is a completely free GPS application. If you are a Windows user, you can skip this review as Navmii is sadly available only for Android and iOS, so it looks like creators didn’t care much about Windows phone potential users. But, all right, we will forgive them as the app along with all available features is free. Of course, with new name there came some new features, so now with the new update you can enjoy new user friendly design and more functional interface that looks pretty nice, updated maps and real time traffic reports. New features are made to make GPS orienting even easier than it was with the previous version. All great features from the version active before updating are still available, so you can still use voice navigation along with using your app while you are offline. 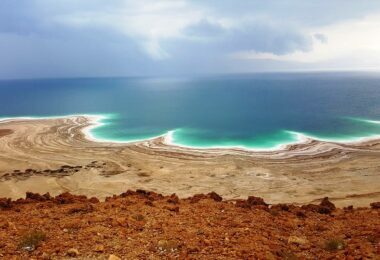 Just as with Sygic, this feature will make your trips and hiking a lot easier when your internet services don’t apply abroad or when you don’t have Wi-Fi connection to log in with. All the maps and routes are available on your phone and in the system, working online and offline. 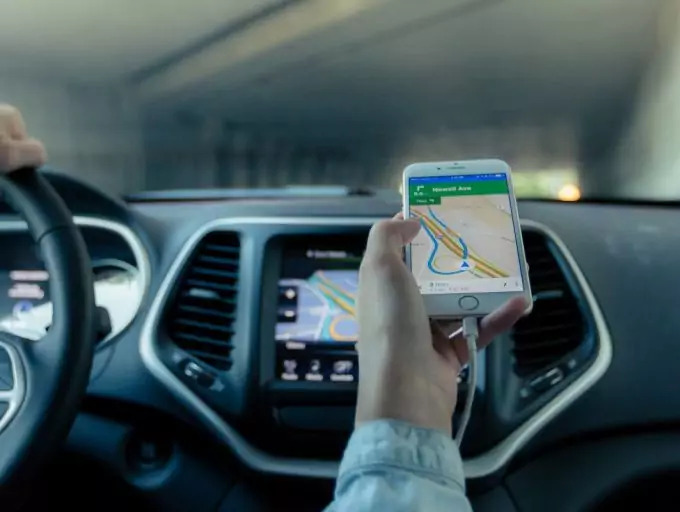 We’ve seen that at other apps as well, but we are reminding you that Navmii is completely free, while Sygic charges Voice navigation along with warnings and traffic reports. There are many satisfied users, but although Navmii creators and designers claim that address and street search has been improved, there are some users claiming that searching for the address they need is close to a nightmare. That does not apply to the voice command feature that seems to be working properly. You can download the app for free via Google play store or download it directly from their website. Pros: Has pretty much the same properly working features, along with working offline just as any other GPS app, but it’s free! We could say that Navmii is then a level up as you don’t need to invest a dime in it in order to use it any time and at all times. Cons: It seems like the search for addresses and streets is not as simple as it might sound. 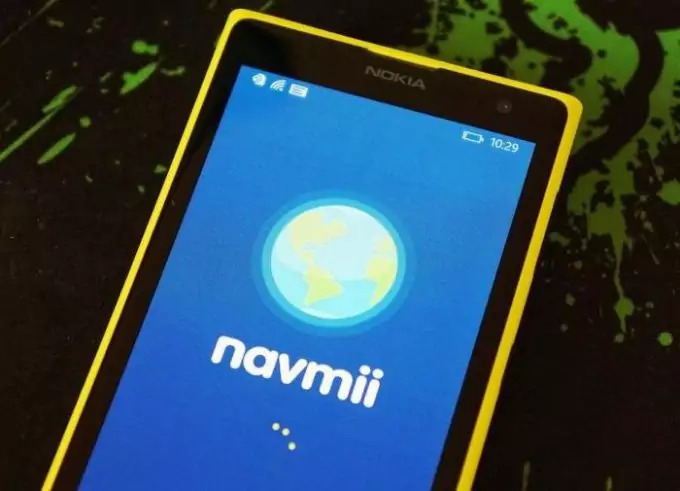 Another thing is that Navmii didn’t think of Windows users, so they need to keep looking for the perfect GPS app that is also free of charge. 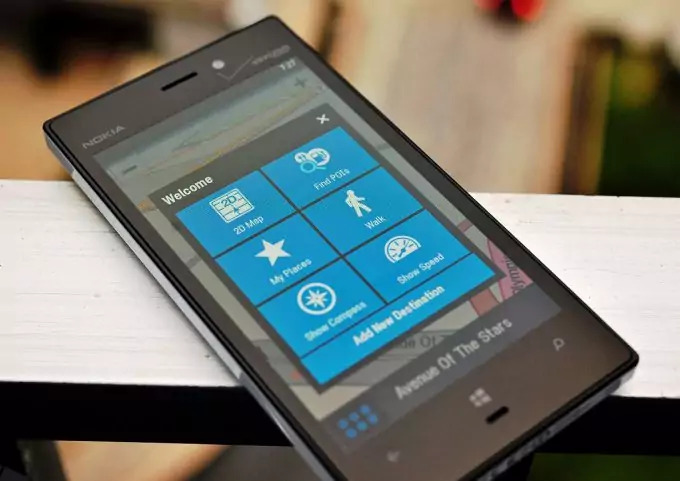 To atone to all Windows users out there, we have chosen this neat GPS app only and only available for Windows users that love their Nokia smartphones. If you are one of the owners of Nokia Lumia or you are planning on purchasing one, you won’t need to install and download this app as it is being pre-installed into the phone’s system so you can use all its benefits as you are driving or walking. It’s originally made for driving routing, but there is no reason why you shouldn’t use it for walking as well. All users of Nokia Windows 8 phones will also have the honor of using this app, having it already installed in their mobile devices. 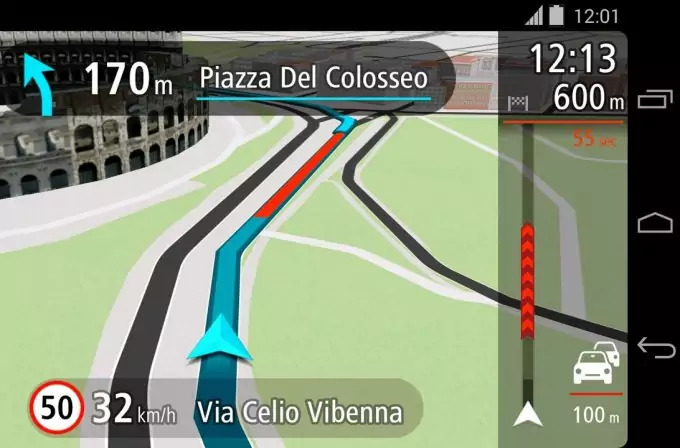 For a free app, Nokia Drive is indeed one solid GPS app and it will certainly make following maps easier and simpler. You have all the maps available in 2D standard map format, but you can also view your routes in 3D. AS a nice feature, you will have your map with night sky and the day sky which can enhance your experience while using this app. All for free, you will get maps of all locations and lists of all streets and street names for 95 countries, but those maps are mainly based in the US and Europe, so if you are interested in routes in, let’s say: Tunisia, you won’t have luck finding what you need. 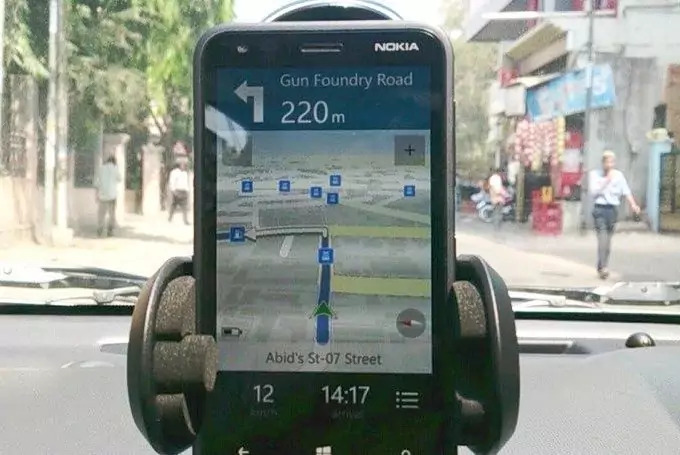 Navigation used is turn-by-turn based, which makes this app user friendly and can be operated by voice command altogether with voice instructions. However, if you want to operate the app while offline, you won’t be able to, which is a major downfall in oppose to the previous app available for iOS and Android users and is also free just like Nokia Drive. You can still download all the maps, for all 95 available countries and use them while offline. To make this app able to compete with the last two apps we’ve reviewed, although Nokia Drive is really easy to manage and operate, we would expect updates and improvements with offline routing and operating. 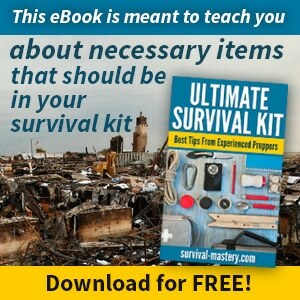 Pros: Very easy to operate and manage, pre-installed in Windows 8 mobile devices and completely free for downloads. Cons: You need to download the maps in order to be able to use them and follow the routes, or else your app will be useless when you are offline. CoPilot is one of the oldest apps on the market and during its time it had been though more than few improvements and updates and now we have it available at the peak of its improved existence. Enough with the pomp, CoPilot creators have indeed improved this app, adding new feature sand making the app appear as more user friendly application. You can get CoPilot for free, just as Sygic is offering free app version, but every extra feature has to be paid. Let’s say that you want to go to a trip to Europe, well you will need to purchase the map for Europe as this map is not available for free. Want live traffic reports feature? You need to pay it – annually. Voice command option also has to be paid. So, pretty much every feature that comes as free with Navmii, has to be paid. CoPilot will take you where you want to go and is among top rated GPS apps, but it might be a bit complicated handling the search option this app uses. When searching for the route you need on the map you have chosen, you will first need to choose a category from several available categories and then use the keywords needed to get where you want to go. 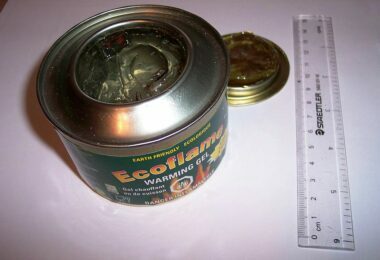 This will significantly slow you down as you will need to search by zip codes as well. Another downfall is that this search option, using browsers and Wikipedia, doesn’t actually work when you are offline, which can be a huge problem. The reason CoPilot can end up on top picks lists, is that it really performs great while you are on the road driving. The maps available in this app are nicely design and you can choose between following 2D standard map and 3D map. You can also switch from driving mode to walking mode. When using voice command, which you also need to pay for additionally, you will probably get annoyed as the voice does not announce the street names and that is a bit of a problem. Will you get where you want to go? Yes, but you will need to get used to using this app if you choose it to be your GPS app. CoPilot is available for Android, iOS and Windows users, which is great as everyone can use it. Pros: Reliable turn-by-turn navigation and will surely get you where you want to go. Very nice design and great interface. Cons: Search option is too complicated and it doesn’t work offline. Every single additional feature that some apps offer for free, have to be additionally purchased. A bit annoying, right? What app allows you to choose Darth Vader’s voice to be your navigation voice? You can get that only with TomTom and that outburst of creativity is precisely the reason why we have chosen this app to be on our top picks list. Besides from choosing Dart Vader as your navigation voice, you can also choose between Mr. Burns and Yoda. This service has to be additionally purchased and it’s not as expensive as you can always switch from one voice command to another available voice character. Pretty neat and exciting if you are a fan of sci-fi and epic cartoons. Now, price for this app is not pricier that the one that needs to be paid for other apps that don’t come as free like Navmii or Nokia Drive do, but the cheaper version seems not be working as fine as the pricier version does. This is probably a strategy to make the users want to buy the more expensive package, but the cheaper version is also operable. TomTom is available for Android and iOS, but again we have to tell Nokia and Windows users to skip this review. On the bright side you are not losing too much as TomTom isn’t perfectly thought through and according to users can be buggy at times. The buggy part we have mentioned comes from inefficient street search as TomTom doesn’t seem to recognize all streets although there are all spoken streets available in map storage available. Now, pricing is a bit complicated and, well, pricy. You will need to pay additionally for turn-by-turn instruction feature and if you are only trying out the app for a one month period, you won’t get to use this option. Once your month is up, you can purchase, either one-year or three-year package; only then will you be able to use simple turn-by-turn instructions that naturally come in basic package for most GPS app. We are a bit confused by this pricing plan and feature police, but that Dart Vader voice bought us. Now, what TomTom is also worth for is that search for addresses and points of interest is far easier than with CoPilot, that charges even more than TomTom does. You can even add addresses and routes to your contacts and save them, so every time you want to use that route again, you can easily access it and follow up with instructions. Another great thing with TomTom is that, unlike most of competitors’ apps, this app doesn’t charges traffic delay warnings. That means that you can get traffic reports for 111 maps for free and at any time. Well, not at any time actually as TomTom maps can’t work offline just like this service. You will need to download the map you want in case you would want to use it while offline – that can be a problem sometimes, especially if you are travelling to a country where you just can’t get the access to a working network. 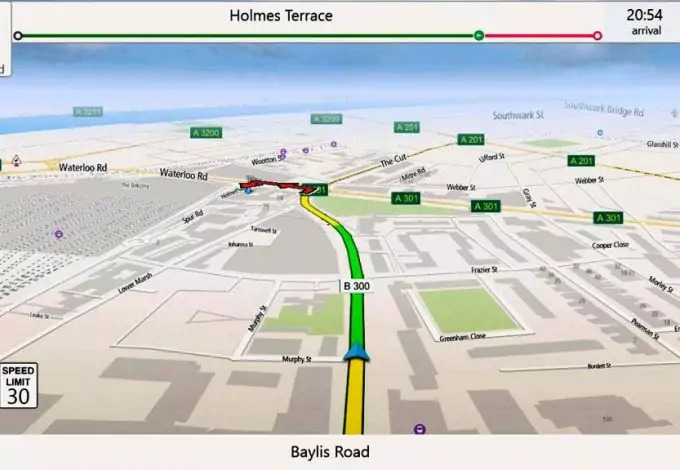 TomTom Also offers 2D and 3D maps for navigation and you can also change colors of the maps if you like. You can as well change the accent of your navigation voice command, so you can get it in Irish, American, British and Aussi accent – this option is free, which is pretty nice. If you want to use this app free of charge, you will get 50 miles worth of navigation monthly and if this is enough for you, then you are fine as you can use almost all features for free. If this is less than enough to you, you will need to pay for additional options and unlimited miles every once in a year or once in a three-year period. All in all, TomTom is a fine GPS app that will certainly take you where you want to go and is still far cheaper that CoPilot is. While driving, TomTom is pretty easy to use as you will be notified about traffic delays and have all the routes you need easily accessible. Voice navigator is there to make things even simpler. This app will also help you choose more economical route and save you a couple of dimes you would spend on gas. Especially if you are an Android user, you will certainly like this app as it has been improved from the version used for iOS operative system. Pros: You get traffic reports feature for free. Darth Vader, Mr. Burns and Yoda voices, along with several accent voice navigation options is a really nice addition. Easy to use and very functional route search option. Cons: A bit strange pricing will make you want to choose free option where you only get 50 miles of navigation for free. This usually isn’t enough, so you would need to purchase one-year package or three-year package. Still, TomTom is pretty cheap for all the features you get. 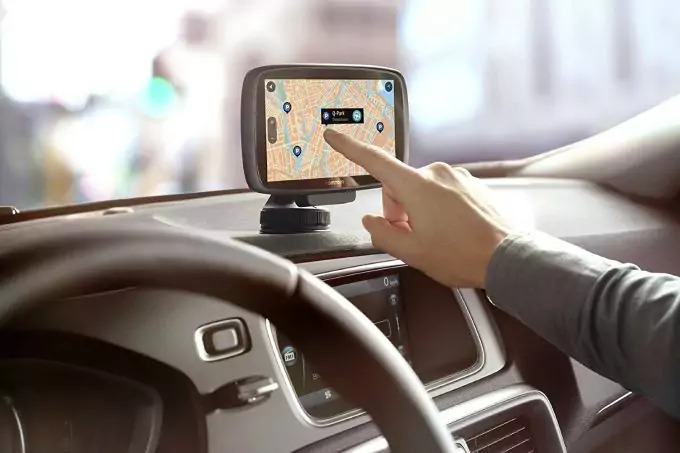 When choosing the best GPS app for Android, Windows and iOS, maybe the most important thing to look for at GPS apps is to have all the features you need with easily operable navigation. All-inclusive features are always a good thing to have, so you might want to download an app that offers everything you need in a single package without additional purchases needed. Also make sure that you can power-up your gadgets on the go. See our piece on how to choose the best solar-powered chargers for your use. 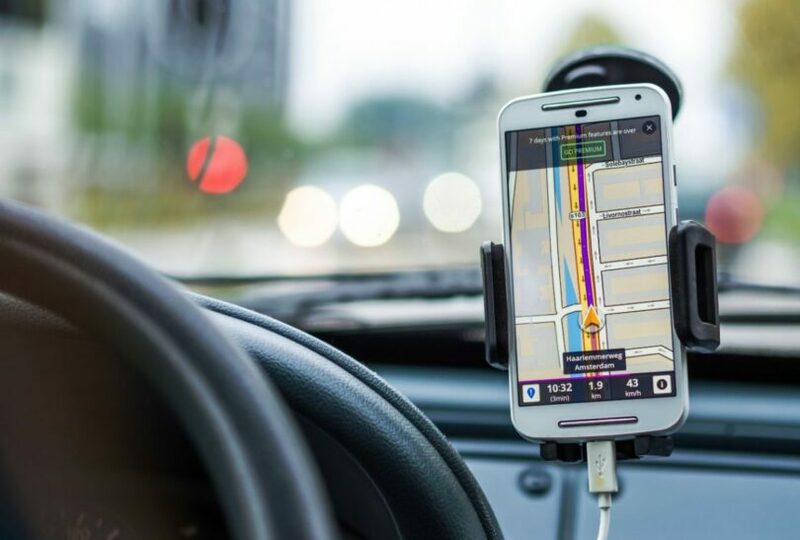 Another important feature we like at some GPS apps is the feature where you can use navigation and get turn-by-turn instruction even when offline – this is an extremely handy addition as you can use your maps without having to download them even when you are unable to use Wi-Fi or your network package. If you are planning on going on a hike, you’d better make sure your GPS app can in fact work offline; otherwise it’s pretty much useless unless you download the maps you need. Think through our entire top picks and choose and try out the one you think meets your needs. For the best hiking GPS, take a look at our useful reviews to give you more options.